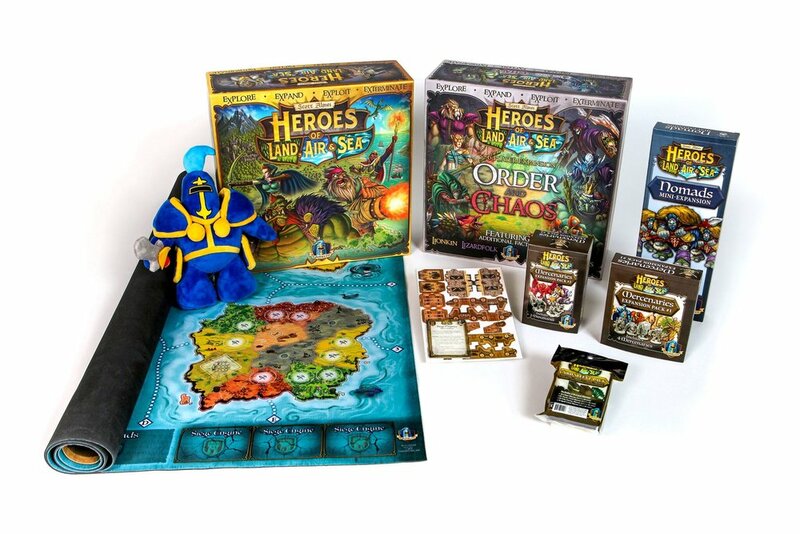 Featuring a sandbox style adventure and of course ITEMeeples© Tiny Epic Quest sets out to have you exploring temples, fighting goblins, completing quest and obtaining legendary items. Checkout some of the reviews of Heroes of Land, Air & Sea by some of the greats. Fulfilment of the game is happening in March so keep your eyes open on social media. Its going to be HUGE! Tiny Epic Defenders and its new Dark War expansion have brought this cooperative saga back to life. You will now have a campaign mode for an all new challenge.